Jed focuses his practice on corporate advisory services and real estate transactions. Jed has represented clients ranging from international conglomerates to small and medium-sized businesses. 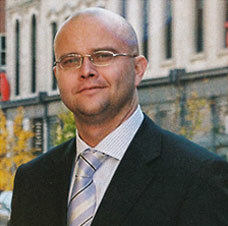 Jed is the former General Counsel for an international real estate developer based in Ukraine. As General Counsel, Jed was responsible for all corporate legal functions as well as project's under development in Dubai and the Kempinski Hotel and Residences, Kiev, Ukraine. Jed is also the former in-house legal counsel in charge of corporate and commercial for Nakheel PJSC, the real estate development arm of Dubai World. He participated in the closing of over $7 billion dollars of transactions for Nakheel along with maintaining primary responsibility for all corporate governance and commercial transactions. Jed is also a former foreign associate for the largest law firm in Turkey, Herguner, Bilgen and Ozeke, where he was primarily responsible for international investments by Western clients in Turkey. Represented seller in multi-million dollar asset sale to private equity in the transportation sector. Represented seller in multi-million dollar stock sale to private equity in the construction service sector. Represented exiting shareholder in stock sale in the audio recording industry. Represented seller in asset sale to private equity in the manufacturing sector. Represented seller in asset sale of engineering firm. Represented two founding shareholders in exit transaction of emergency room physician practice to publicly traded entity. Represented exiting shareholder in asset sale to private equity in the services sector. Represented a founding shareholder of Blue Apron for private equity funding rounds. Represented sellers in various commercial real estate including self-storage, office and hotel sales.